Black Butte Porter is one beer that really needs no introduction. One of the original three beers Deschutes Brewery brewed when it started back in 1988, it’s become one of the most popular craft beers in the country. 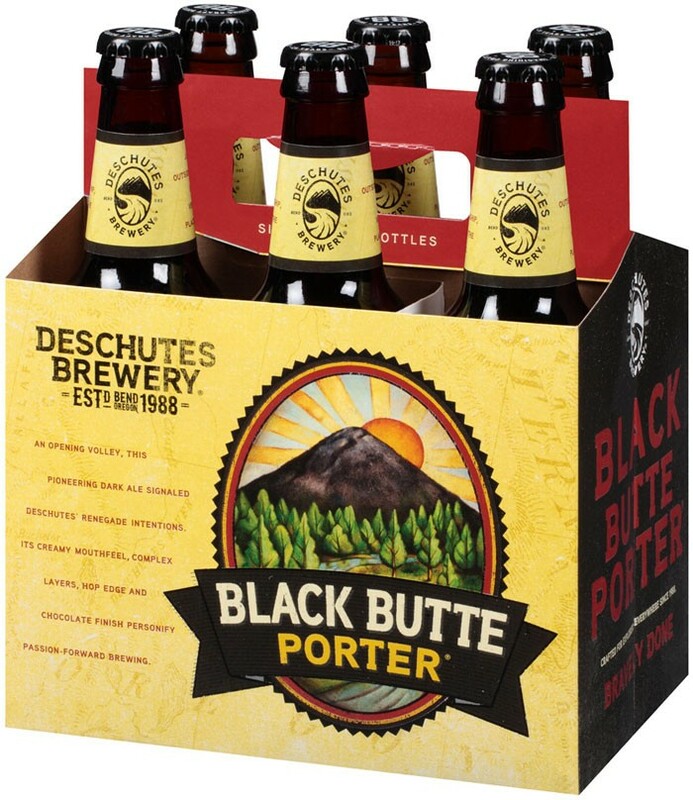 But did you know there really is a Black Butte the porter is named after? Black Butte is actually an extinct volcano, rising up over 6,000 feet above sea level in the Deschutes National Forest about 20 miles northwest of Bend, OR where the Deschutes brewery is located. Plenty of Deschutes employees hike up to the top of it, with more than a few carrying the namesake porter in their backpacks up to enjoy at the summit. As for the beer itself, Beer Connoisseur recently gave it an “Exceptional” rating, describing it as “A rich me’lange of dark chocolate and roast malt … displays hints of toasted grain, bread crust, and even toffee …” I’m not a trained beer judge, so I’ll leave culinary descriptions like that for the expert. As for me, I just think it’s got a great drinkable, roasty character with plenty of depth making it my go-to porter.